Part 1. Earth-Sound in C# and with Mantra ""So Be It""
Part 2. Chakra Journey with chakra colour-sounds. 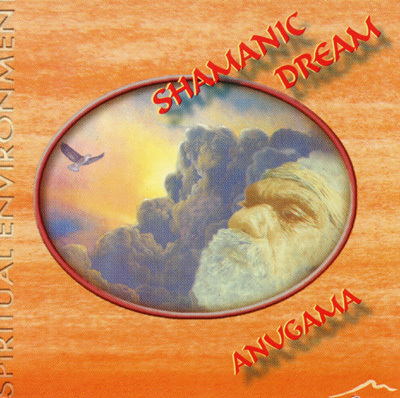 Shamanic Dream by Anugama is especially suitable for trance meditations. A heartbeat drum accompanies the continued low repetition of the mantra "So Be It". The second part is a journey through and meditation on the chakras, the energy centres of the human body. Anugama plays: classical guitar, flamenco guitar, recorder flute, native American flute, shakuhaji flute,native American drums, keyboards and voices.